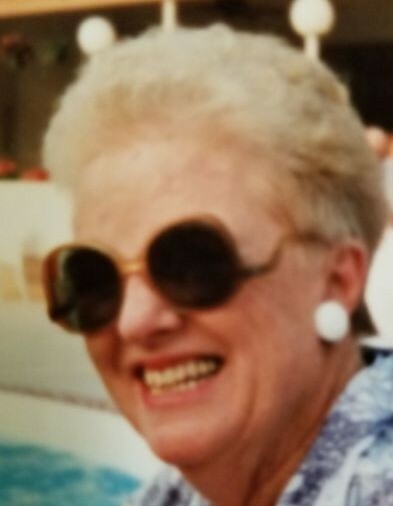 Jane Fulghum Benton, age 89 of Evergreen, went to her Heavenly home on Sunday, March 17, 2019 at her son’s home in Graham. She was born September 14, 1929 to Kenneth Raeford Fulghum and Smithie Jane Coleman Fulghum and the widow of Loraine Page Benton, Jr. who preceded her in 2010. In addition to her parents and husband, she was preceded in death by her sister, Mildred Fulghum Tucker. During her life as a wife and mother, she was a dedicated educator in the North Carolina Public School System, teaching primarily in Columbus County, Asheville, Goldsboro and retiring in the Wake County Public School System for a total of 37 years. She was a dedicated member in the Evergreen United Methodist Church. She is survived by her son, Loraine Page Benton, III and his wife, Christy of Graham; a brother, Ken Fulghum and his wife, Bet of Chesapeake Bay, VA; granddaughter, Sarah Joyce Benton of Garner; and two step-grandchildren, Chad Edward Bishop and Steve Aaron Ammons both of Sanford. Final rites will be held at 3:00 p.m. Thursday, March 21, 2019 at Worthington Funeral Home with Pastor Pat Inman officiating. Interment will follow in the Evergreen United Methodist Church Cemetery. The family will receive friends from 1:30 p.m. until time of the service on Thursday at Worthington Funeral Home. Memorials may be made to Evergreen United Methodist Church, 7266 Old Hwy 74, Evergreen, NC 28438.